Way back when people could entertain themselves without electronic devices, we played a board game called Trivial Pursuit. The bane of my existence in that game was earning the pink entertainment chip, as for some reason I dislike watching movies and TV shows so it was a challenge for me to answer those questions. That’s where I would get absolutely smoked. I also would get smoked when I would turn my investment theses into trivial pursuit games. All too often I spent countless hours striving for that last bit of information that would perfect my thesis and make my earnings model seemingly impenetrable—at least in my own mind. However the vast majority of investment failures that I have made and have seen others make were not when we failed to uncover that last nugget of new information, it was when the risks of an investment were well known. Our error was underestimating something already known and anticipated, and we refused to challenge our own investment thesis. Our attitude was how can our thesis be wrong when we know the company so well? Many of us have a greater fear of looking ignorant in not knowing every detail of a company when confronted than admitting the weaknesses in our thesis up front in front of our co-workers, superiors, and clients. Too much bravado can be a very bad thing. In my view, we investors often confuse intelligence with wisdom. Intelligence is the capacity to hold and retrieve information. Wisdom is the humble application of intelligence and experience. Why is it a humble application? Because wisdom is usually imparted by Mr. Market whacking us upside the head, and us actively looking for that proverbial swinging two-by-four aimed squarely at our temple in our future analyses. Getting whomped on the noggin so many times does give you a much better idea of where your weaknesses lie and how you need to know, accept, and yes even celebrate your shortcomings. That’s why we as investors should try to actively look for and embrace our failures whenever possible and try to find out where we went wrong and how we can improve on our processes in the future. In other words, actively confronting and embracing the lessons learned from failure as often as we can. This includes seeming investment “successes” as well. Through the years I have discovered that many times I was right for the wrong reason (aka lucky), and that by looking for failure in my analyses that are disguised as successes has been equally as helpful. Therefore perhaps we should spend much less time on that incremental bit of information about a product in a company’s product line that might move your model by less than 5% and spend more time looking for, embracing and learning from our failures. We might not win the Trivial Pursuit game (and earn that elusive pink entertainment chip), but we may just win the investing game in the long run. Most people who read this column on a regular basis know I am not a big fan of reading too much into potential short-term Fed actions or other macroeconomic prognostications of the day. More often than not they are just transient noise. You do have to pay attention to the data behind those prognostications as sometimes you can see trends that could impact your investment thesis in the longer term. One such current debate is how much longer the Fed will keep interest rates low, with one in the Fed (our own Minneapolis Fed President Kocherlakota) arguing we should continue the bond buying stimulus program as inflation is still too low. The amount of money growth in the system is within normal ranges, and was relatively elevated in the not-so-distant past. 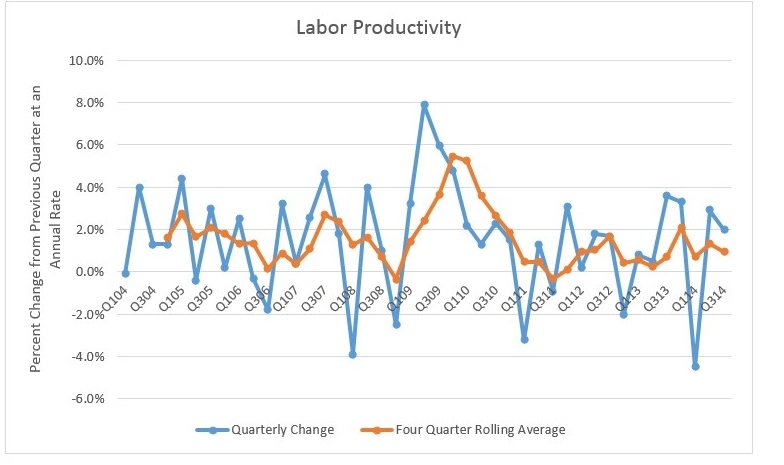 Additionally, productivity (output) seems to be holding in OK.
Inflation, as measured in CPI, likely isn’t optimal in the Fed’s view, but it doesn’t appear deflationary either and is still muddling along. 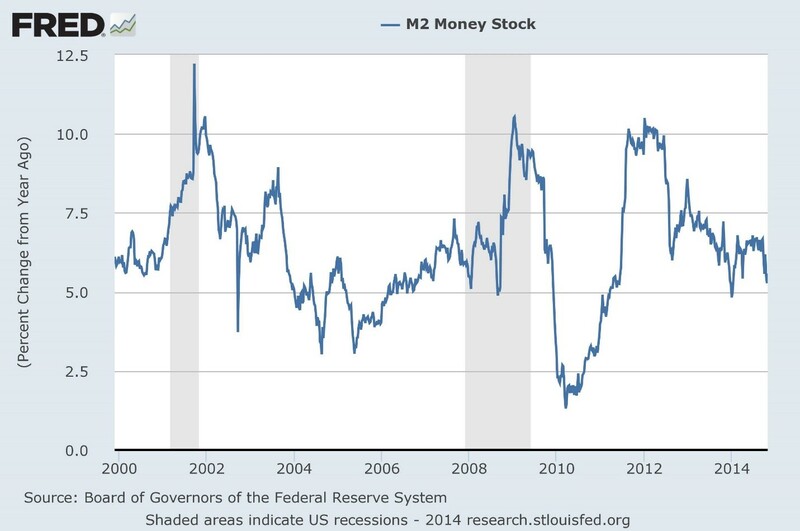 Money velocity is a different story however. 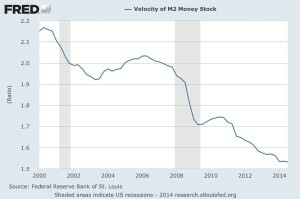 Therefore despite all this monetary pump priming and productivity and prices doing OK, money velocity has been in a notable downward trend. Therefore velocity seems to be an, if not the, anchor to growth. 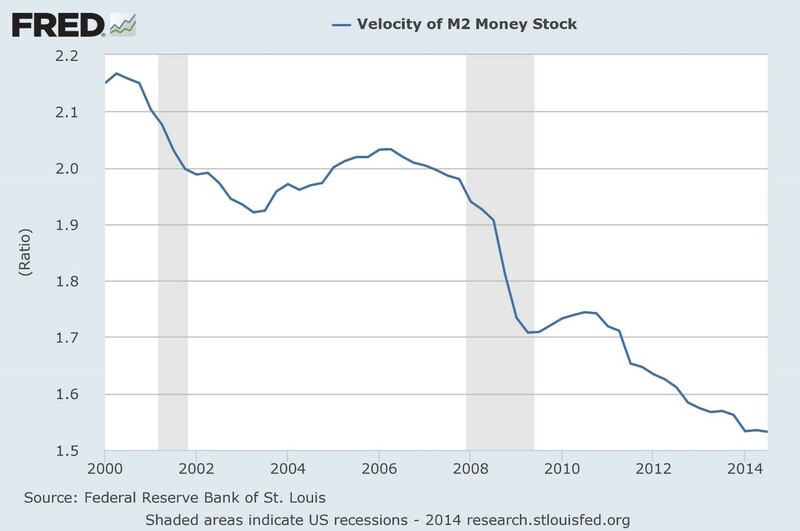 Can the Fed control velocity? Well after trillions of dollars of stimulus later, one can plausibly argue no. 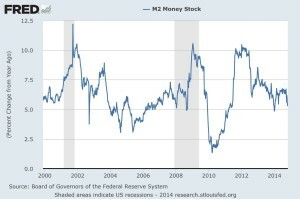 While I agree with Friedman that inflation is always and everywhere a monetary phenomenon, there appears to be limited money turnover and demand, stunting the impact of increased monetary stimulus. 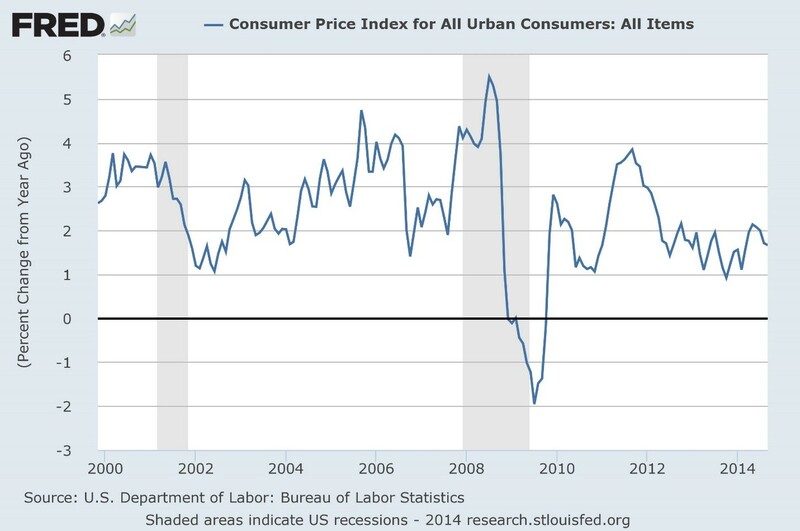 That tells me that this is a fiscal policy, not a monetary policy, issue. 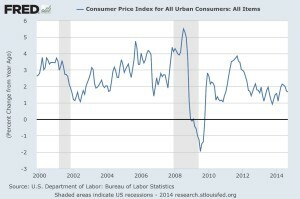 Therefore I am watching to see if there is a change in the fiscal environment as I feel that will move the needle macro economically long-term more than anything else. 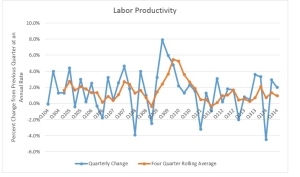 However this will require movement not from the Fed, which can only impact monetary policy—it will require movement from our federal and state legislatures and executives putting in place pro-growth fiscal policies. Will it happen? One can only hope, and it bears watching closely as the New Year starts. This taught me a lot about relationships. Some things are indeed like the others, while others are not. Frequently us on Wall Street forget that and classify things where things are surely not where they should be. One thing that drives me nuts about this industry is the monolithic thinking it often gets itself into. Staples analyst are staples analysts. Health Care analysts would never understand tech and so on. In reality sector boundaries are completely artificial and ignore business realities on how managers run their organizations. In my opinion analysts don’t follow companies, or even sectors. 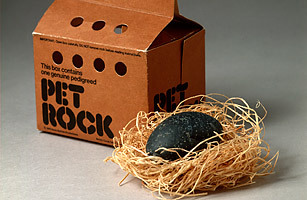 What we really strive to do as analysts is discern superior business models and business structures (i.e. how are they set up financially to support the business model) and invest in those that offer intrinsic value compared to their current stock price. 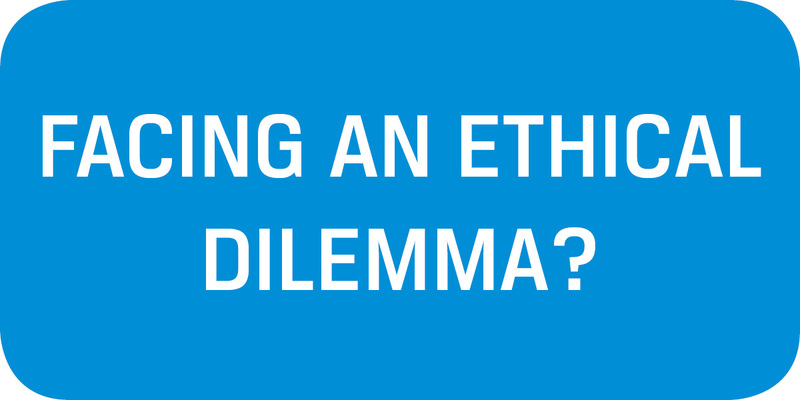 Sector membership in reality is immaterial to how investors should view a company. Therefore I find more investment cycle commonality among companies with similar business models than ones that are reside in similar business sectors—much like managers view their own businesses. Certain models are influenced more by consumer sentiment ebbs and flows, others by recurring revenues, and still others by fluctuations in the business investment cycle—things that transcend belonging in a particular sector. Investors can take advantage of those commonalities as each business model has similar investment cycles. There are many more types of models but many companies fall in to one of those three buckets—let’s use the Information Technology sector as one such example. For instance most semiconductor companies have heavy cyclical components based on a predictable business investment cycle, not unlike most late-stage industrials—the semi cycle is just faster and tougher to time. You usually want to purchase those companies the same way you would with a stock like CAT; when absolutely no one believes anyone will ever buy one of their products for a long time. Software companies are essentially recurring revenue companies and can often be valued on those razor-razor blade revenue streams, e.g. not unlike some medical product companies. However, with the advent of cloud delivery of software, we can see a day when software companies become more cyclically driven like their semi brethren. Finally, some tech companies are primarily driven by consumer sentiment, usually driven by a product introduction cycle, as they are essentially consumer discretionary items—media content delivery and consumption devices. Herein lies Apple. For example, I sometimes think one of Apple’s best comp companies in terms of the way it is structured, and the mind-set of the company as a whole is Nike. Both are highly innovative companies that have rabid followings in an oligopoly market structure. Distribution channels are crucial for both companies and their products are vitally important for their retailers to carry, but both Nike and Apple also utilize their own storefronts to satisfy the information needs of their “power users” and for promotional purposes. Both offer products that are performance driven, yet can be used as fashion accessories. Both companies have significant opportunities in emerging markets as newly formed middle classes strive for high quality western goods and brands. Finally, this is why new product releases are so crucial to both Nike and Apple—both companies need product refreshes or new product categories to satisfy changing trends with consumers and counter other product releases from competitors. Would it not make more sense to organize a research division based upon business models? To an outside entrepreneur, I think it would. It certainly would force us to focus on those items that truly drive the business as opposed to simply the S&P sector it resides. So perhaps one of these things is not like the others, at least the way Wall Street defines it. I learned a lot from my first business dinner in the investment industry years ago. Number one, define your terms. Before we left our Director of Research told us we could only purchase one bottle of wine for the table. So the senior member of our team ordered a magnum. The second thing I learned is that ordering off the menu, if you know the wait staff, is a great thing to do. I had the best hash browns in my life as a result. Does investing off-menu, meaning off-index, investing offer the same tasty results? Usually it does. Countless studies show that underfollowed and under-appreciated securities often outperform their more followed and “loved” rivals. At the same token with a nearly worldwide zero to very low interest rate policy going on as far as the eye also puts a premium on growth and/or yield—making momentum investing a viable strategy. Plus good portion of those momentum securities are in an index or an ETF because they exhibit those growth/yield characteristics—along with ample liquidity. Therefore we can plausibly assume that as long as zero or abnormally low interest rate policy holds, and investors believe that policy will continue for the investing horizon that buying these securities on a dip is a good strategy. Indeed, the performance of momentum strategies during past few years has given credence to that notion. In addition one also can reasonably assume with the growth of index/ETF investing that as more money gravitates toward these securities, and as they grow in proportion in the index/ETF, that buying momentum stocks that are in one or both of those vehicles becomes self-perpetuating. At least as long as the investment thesis holds on those individual securities in the index/ETF—and as long as Mr. Market believes that the Fed Calvary will come to the rescue each time Mr. Market stubs his toe. Or as long as interest rates hold to a “manageable” level. How long will this continue? Your guess is as good as mine. So where does that leave those securities that are not in an index or an ETF (or at least not in a highly liquid ETF) especially those that are not especially liquid compared to their peers at this point in time? Sometimes it feels as though that the psychological hurdle rate of those stocks has risen. Indeed, I find myself needing either some very strong and visible upcoming catalyst or some degree of beginning technical momentum to get myself interested in off-index and off-ETF names compared to a couple of years ago. This goes against my contrarian and mean-reversion heart. Finally, I also believe that eventually the rules of supply and demand and valuation do take over and this index/ETF oriented strategy will eventually end—most likely in tears when everyone rushes for the exits at once. In the meantime will I continue to explore and add off-index/ETF names to my portfolios? Of course, as it is nearly impossible to beat the market consistently without these names, and no one wants to be a “closet indexer”. But as long as there is so much liquidity and demand towards index/ETF names the hurdle and discount rate I give to off index/ETF names will necessarily be higher than what I would normally, and would prefer to, apply. Therefore, lets pop open a magnum and enjoy the low interest rates, liquidity and good times while it lasts.